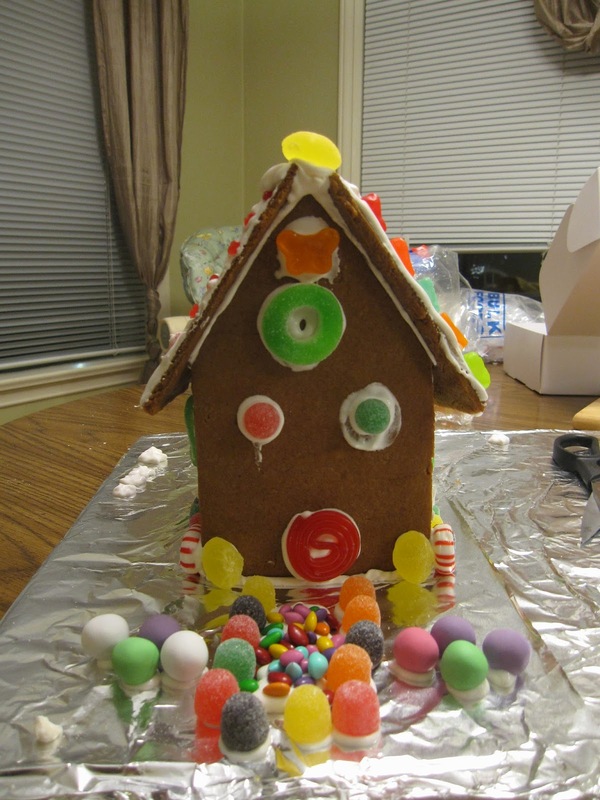 Gareth really wanted to make a gingerbread house this year. And because I'm me I couldn't just go out and buy some kit. We had to make the gingerbread ourselves. Not a big deal, because we always make gingerbread cookies anyway. However, with all that happens around Christmas I knew there'd be no way it'd get made before Christmas. So it became a New Year's activity instead, which works out pretty well since New Year's is a pretty lame holiday. 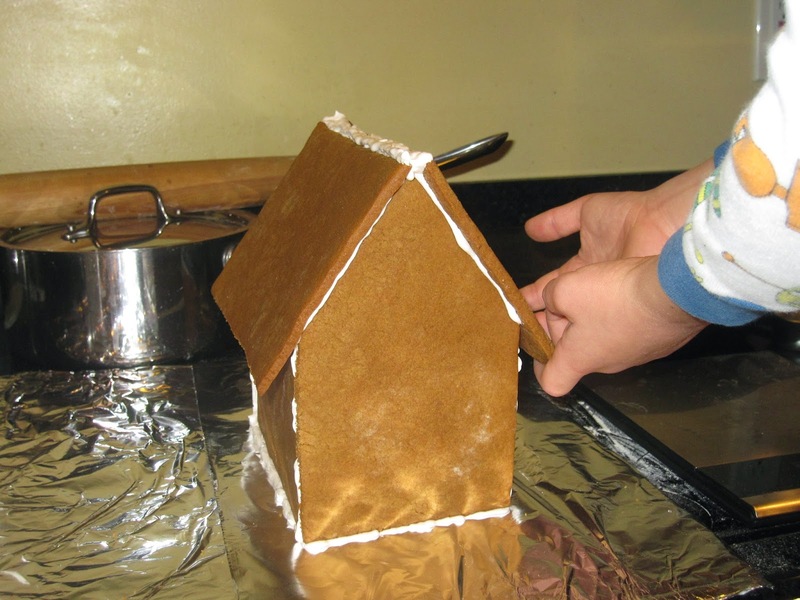 We started a few days ahead of time, mixed our dough and baked our gingerbread house shapes, based on measurements from templates seen online. We kept to a nice, basic house this year. The house pieces seemed crispy enough, so we left them overnight to cool. I was worried about that because things tend to soften overnight here. Our gingerbread pieces did exactly that, but I had no idea what I could possibly do to prevent it (next year I might try to bake them even longer and make them on the extra crispy side), so figured it'd either work okay or else totally flop when we tried to put the pieces together. The next evening I mixed up some royal icing (way more than we needed), and Gareth and I attempted to put the house together. To my great surprise, it managed not to collapse in on itself. 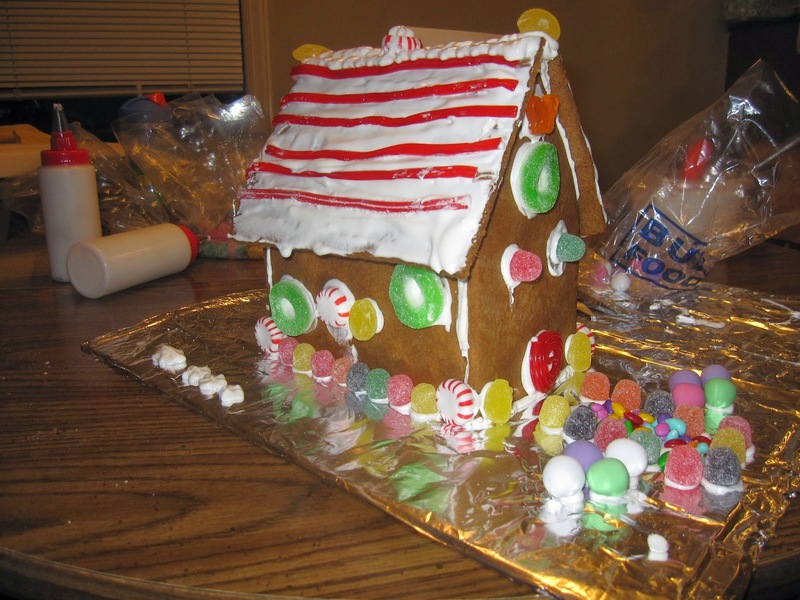 We left our little house overnight so the frosting could dry. To my even greater surprise, the thing was still standing the next morning. 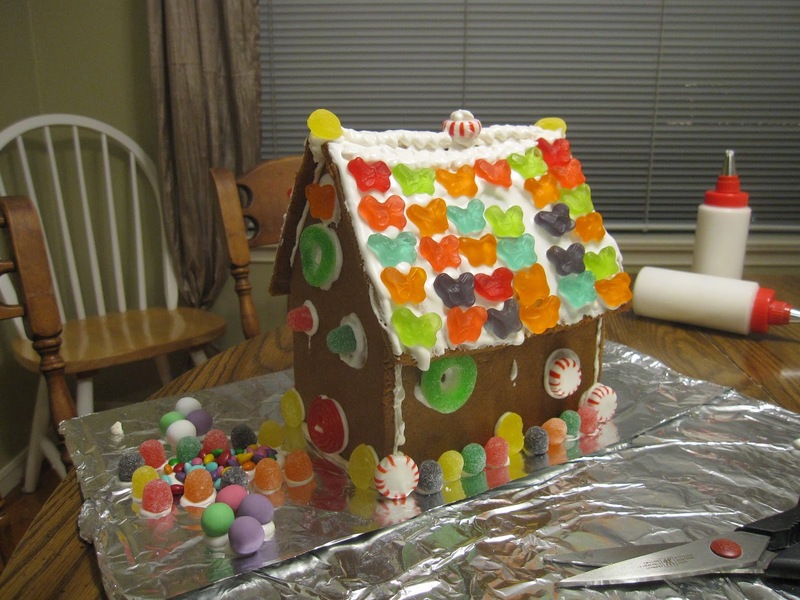 So, New Year's Eve we picked up some candies from the bulk candy section and used our extra frosting (still more than we needed) to apply some candy decor on the house. Gareth had fun with it, and I think it made for a fun activity in the latter end of the break, so it's probably one we'll repeat next year.